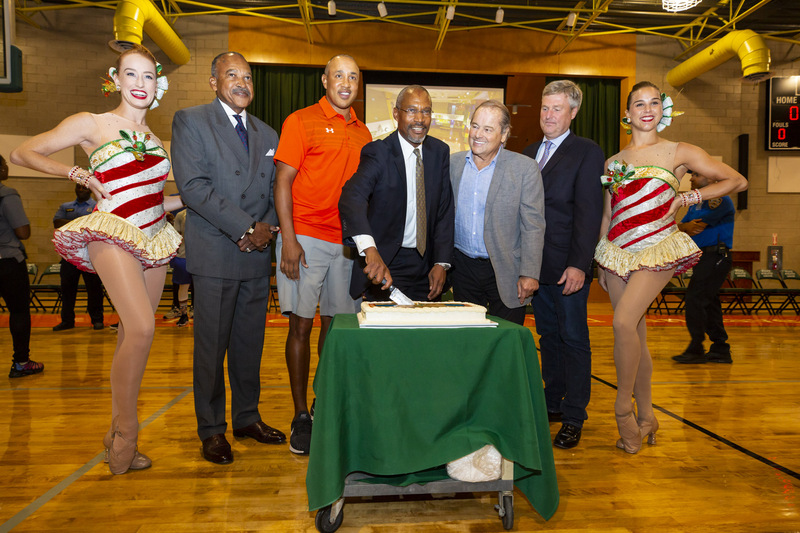 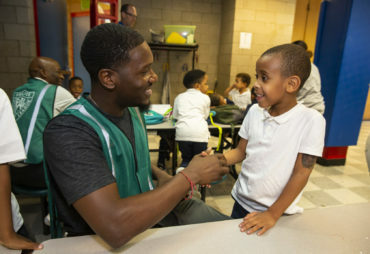 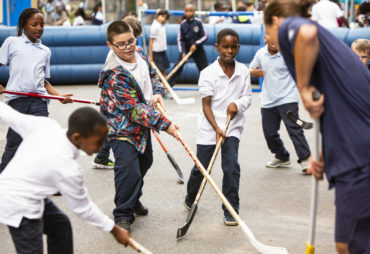 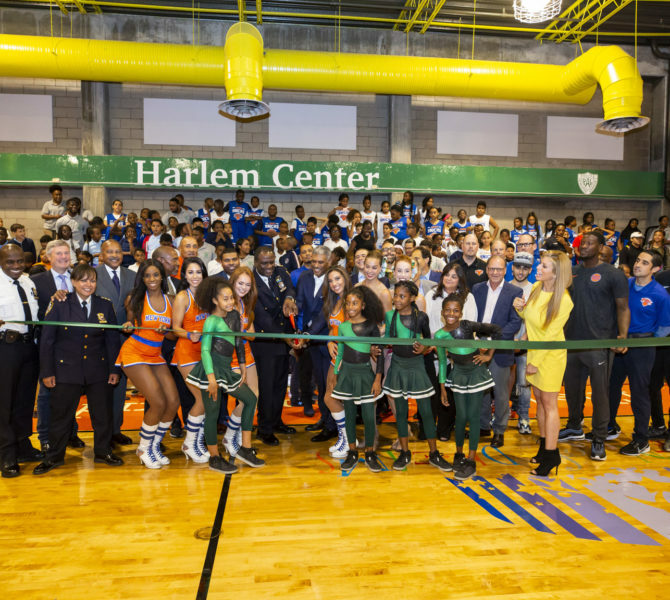 On September 20th, the Garden of Dreams Giving Program unveiled a newly renovated space at Police Athletic League’s Harlem Center. 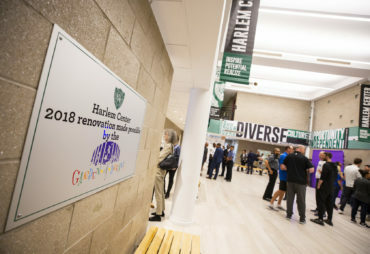 The Foundation provided $1.1 million to renovate the gymnasium, atrium, and game room for the children that use this space. 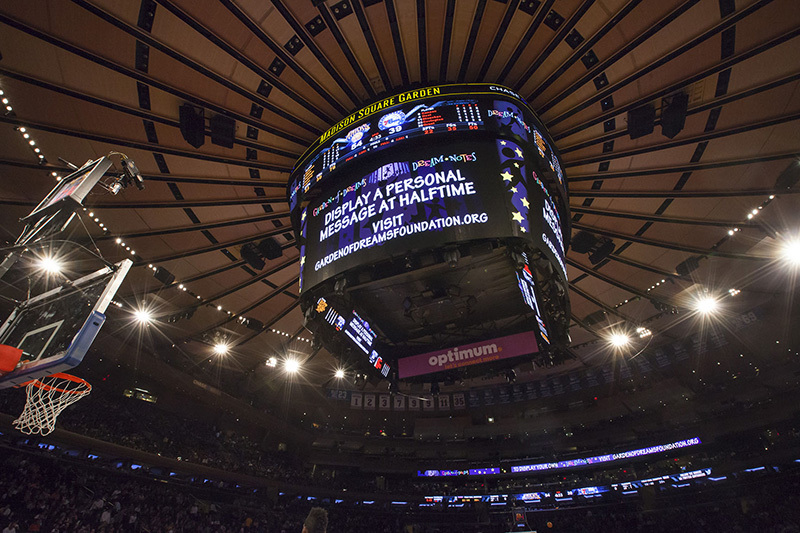 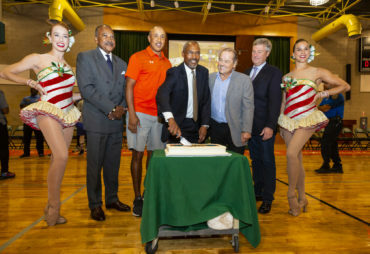 This ribbon cutting was hosted by MSG Networks reporter Jill Martin, and included appearances by the New York Knicks, New York Rangers, Knicks City Dancers, Rockettes, KNX Gaming, Knicks legend John Starks and Rangers legend Rod Gilbert! The Knicks City Dancers surprised Talent Show alumnae, Harlem PAL Showstoppers, and the Showstoppers taught the KCD part of their dance. 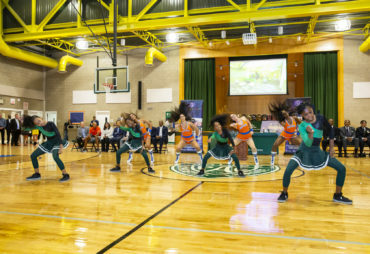 The two groups performed the Harlem PAL Showstoppers’ routine “Soldiers of Dance” to kick off the ribbon cutting. 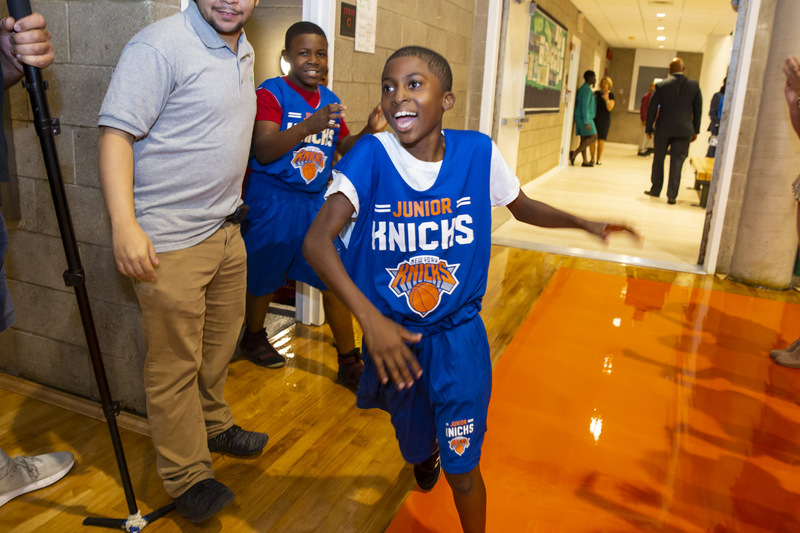 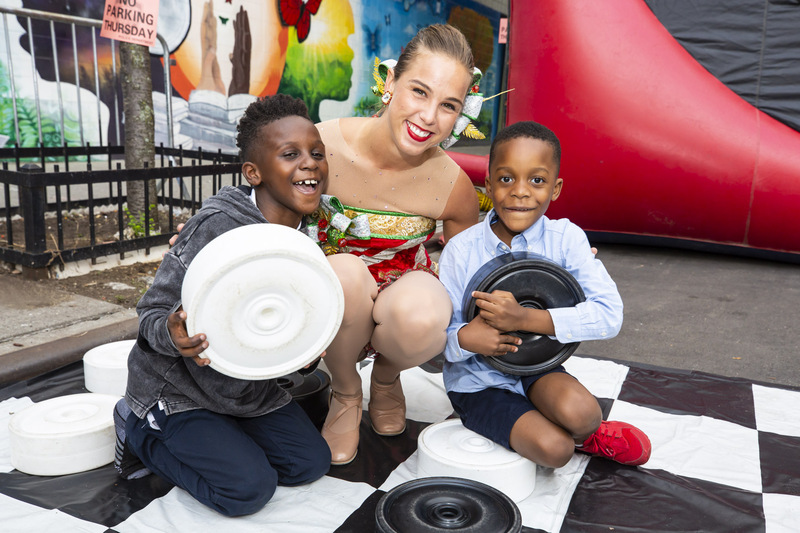 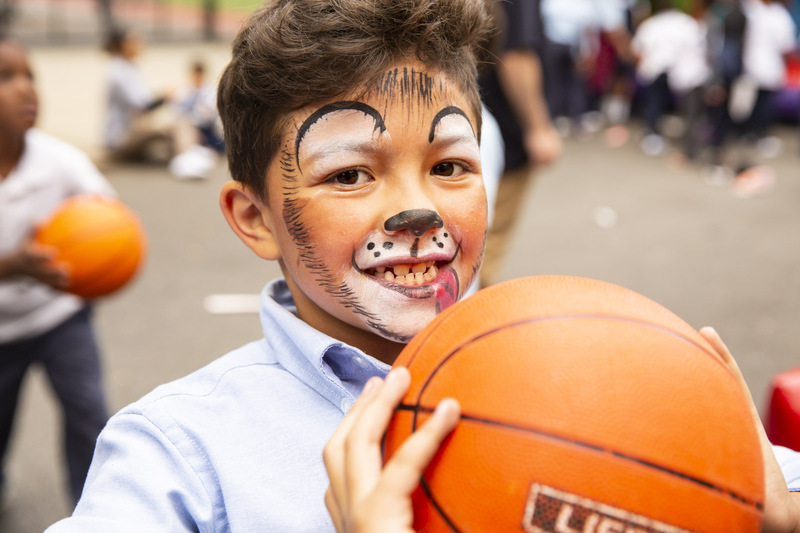 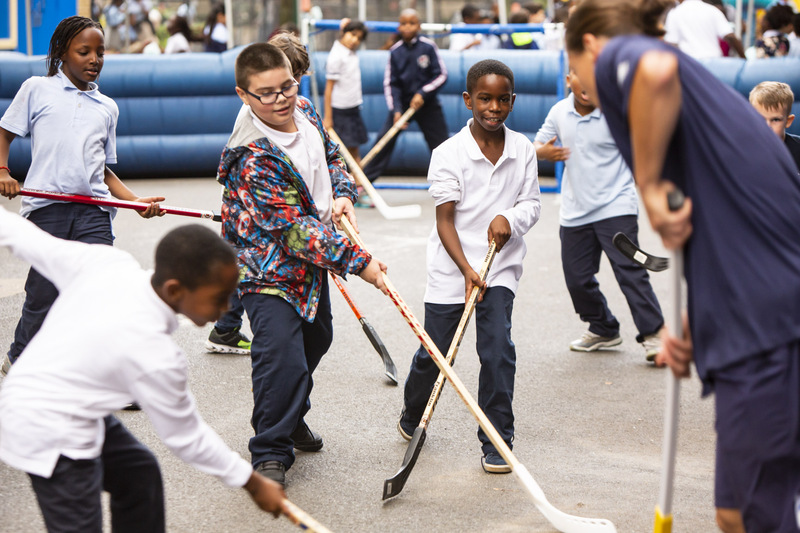 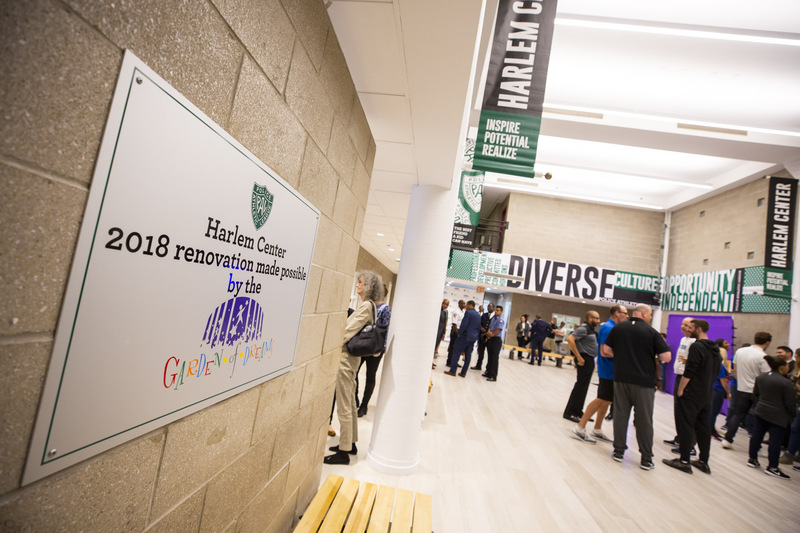 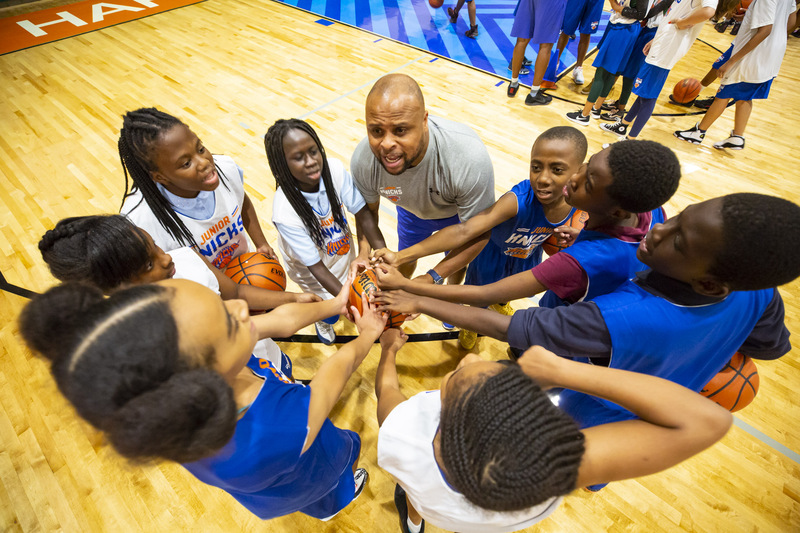 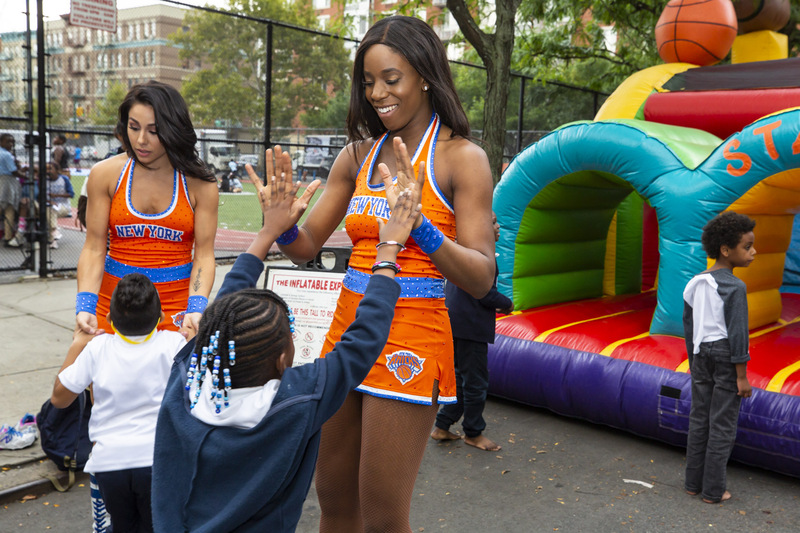 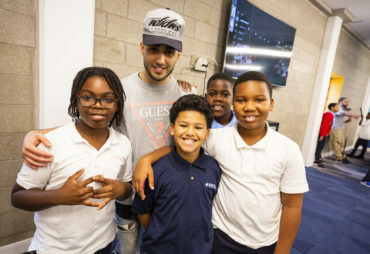 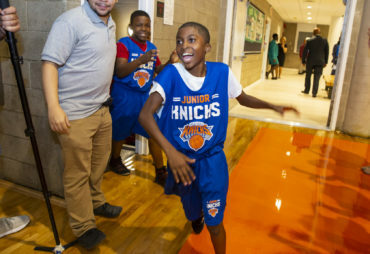 Over 200 youth from the Harlem Center enjoyed a Junior Knicks basketball clinic, Junior Rangers street hockey clinic, photo booth with the Rockettes, inflatables and so much more while celebrating this new space.